Welcome back to the Spring term in Y3/4. Your new teacher for the next two terms is Mrs Lowery and Miss Lockey will be your Teaching Assistant. Together the children will be learning about Adventure stories and Greek Myths and will explore Europe/Greece in their topic work. Maths will be focussed on Multiplication and Division/ Fractions and Decimals and Measure. 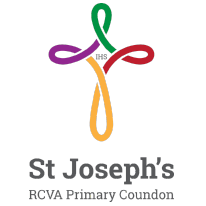 Our RE will focus on the Sacramental preparation and delivered by Miss McGough. Our targets and challenges for the term ahead are to become fluent readers, excellent spellers and Maths whizz kids with rapid recall of our Times Tables. Children can access Rock Star Maths, Lexia and Activ Learn at home- if you need a log in please see your teacher. Reading: reading together as often as possible will really support your child. Spellings practice: children will get their weekly spellings on Tuesdays and will be tested every Tuesday. Please support your child by practising these and preparing them for their test. Homework: children will be set some homework every Thursday and this will be expected to be handed in on the following Thursday. Times Tables: the children really need to know their times tables by heart. Please practise these as often as possible. Toast / Snack money is £1 per week and usually collected each Monday morning, if you would like to pay half a term in advance, you are more than welcome. If you have any queries, please let me know. I look forward to getting to know you all and working with the children over the next two terms.